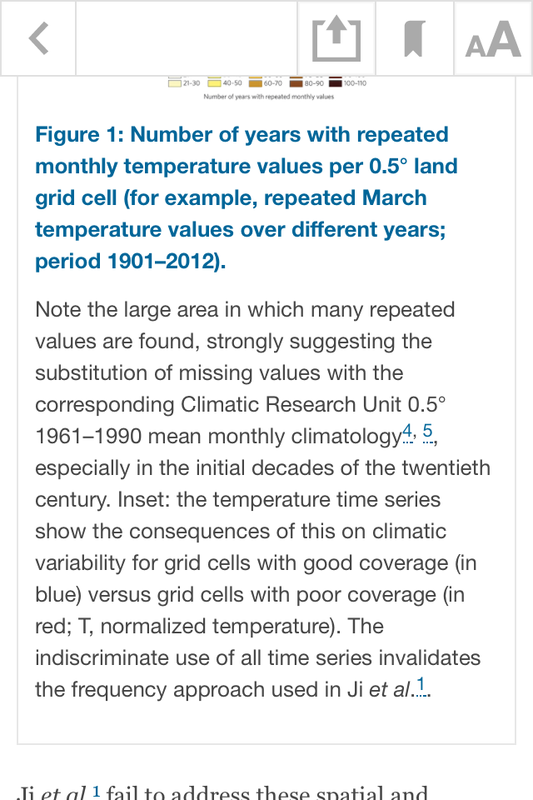 THE HOCKEY SCHTICK: New paper finds global temperature data trend prior to 1950's "meaningless" & "artificially flattened"
New paper finds global temperature data trend prior to 1950's "meaningless" & "artificially flattened"
the updated HADCRUT global temperature database, which is used as the basis of all of the other land-based temperature databases including GISS and BEST. The correspondence demolishes the claim of Ji et al that "the global climate has been experiencing significant warming at an unprecedented pace in the past century" as well as the reliability of the HADCRU database to determine global temperature trends of the past 164 years. According to the authors, conclusions about global temperature change cannot be reliably determined prior to the 1950's due to the poor spatiotemporal coverage prior to the 1950's and trends determined from the early HADCRU data are "meaningless and "artificially flattened." Likewise, all climate model "tuning" based on the "meaningless" global temperature trends prior to the 1950's are therefore "meaningless" GIGO as well. 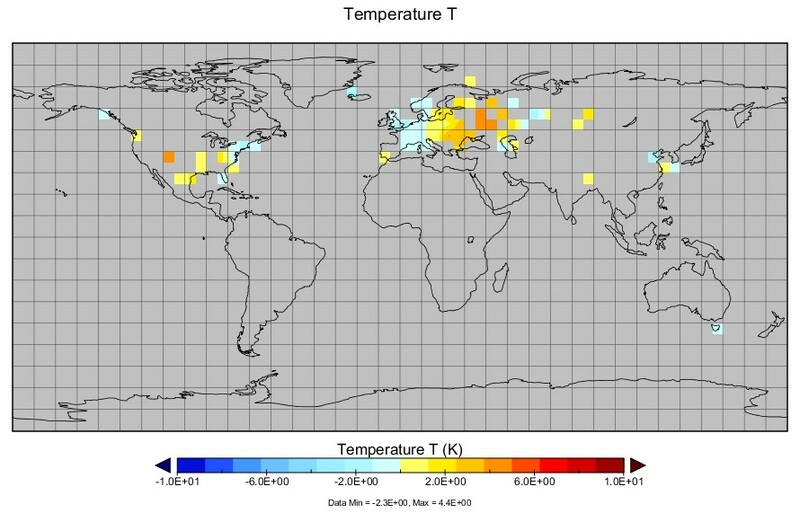 Ji et al present a methodology to analyse global (excluding Antarctica) spatiotemporal patterns of temperature change, using mean monthly temperatures obtained from the updated Climate Research Unit (CRU) high-resolution gridded climate database. 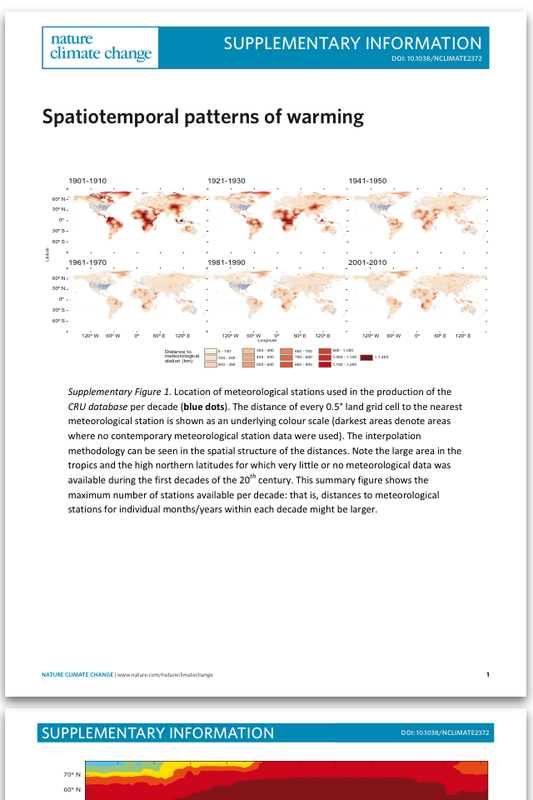 Their analysis fails to take into account several key characteristics of the CRU database, seriously compromising the conclusions regarding the spatiotemporal patterns of global warming during the twentieth century. 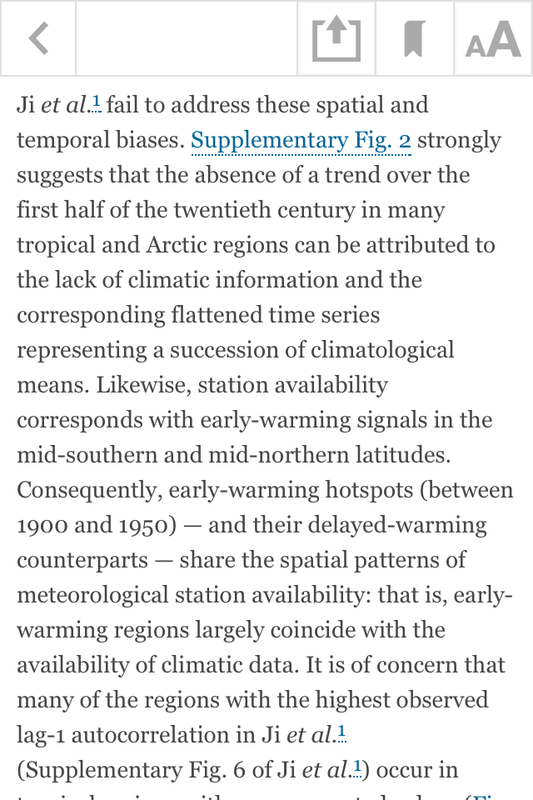 Consequently, the temporal auto-correlation of such time series is artificially high, and the climatic variability they portray for the early decades of the record is meaningless. 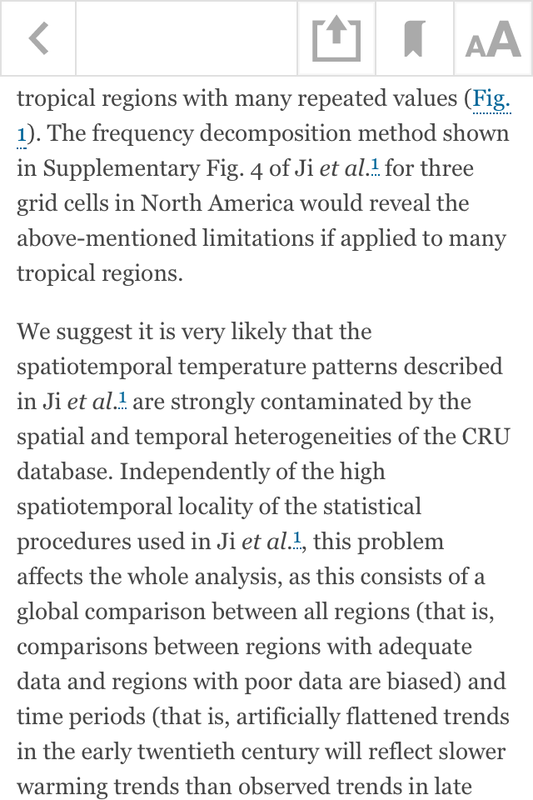 "...strongly suggests the absence of a trend over the first half of the 20th century in many tropical and Arctic regions can be attributed to the lack of climatic information and the corresponding flattened time series..."
"...we suggest that it is very likely that the spatiotemporal temperature patterns described in Ji et al are strongly contaminated by the spatial and temporal heterogeneities of the CRU database." "...this problem affects the whole analysis." 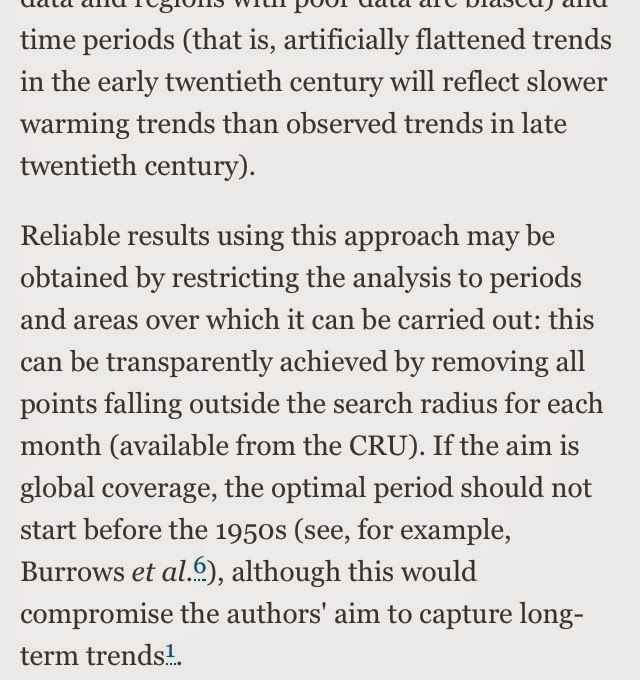 "If the aim is global coverage, the optimal period should not start before the 1950's, although this would compromise the authors' aim to capture long-term trends." 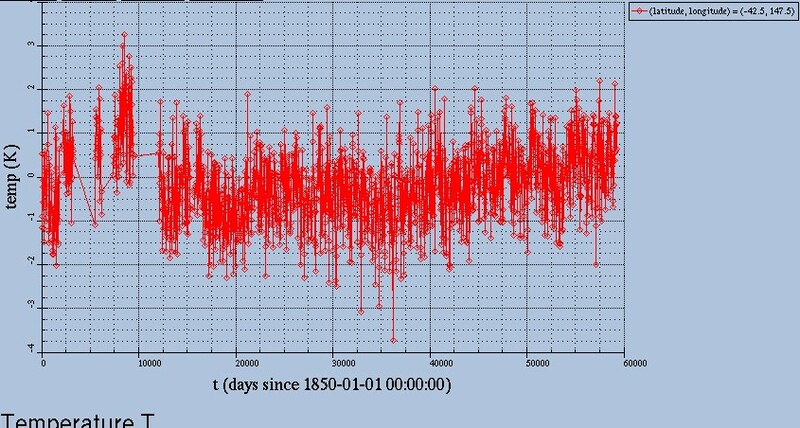 Excerpts from the Nature Climate Change, followed by 2 posts from StevenGoddard.wordpress.com, which illustrate the problems the authors are referring to in the HADCRU record, such as Phil Jones' and HADCRU ridiculous extrapolation of a single thermometer in Tasmania at the beginning of the HADCRU record in 1850 as representing the entire Southern Hemisphere, and with one-thousandth of a degree precision! Phil Jones was able to determine the 1850 southern hemisphere temperature to three digit precision, from a single thermometer in Tasmania. The graph above shows the complete time series since 1850 for Tasmania. ___"Since comparable records began in 1871, the only other winters as snowy as the recent three (1939-1942), were those of the last war, namely 1915/16, 1916/17, and 1917/18." For those who have failed in school it happened during the two World Wars.